Hey everyone, today’s Draw the Law will be brief, in anticipation of your 4th of July weekend! 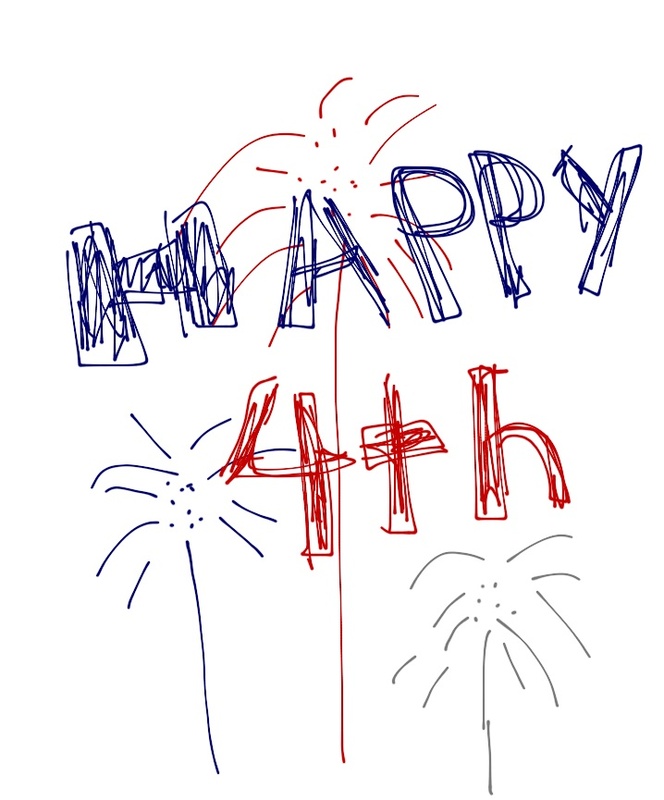 Remember to enjoy yourself, be safe, and that the next post will be for Social Media and the Law on Tuesday, July 5th. Anyway, let’s get to it! In the last post, I discussed raising capital from private sources such as institutional lenders, banks, or wealthy individuals or organizations, such as angel investors. Today, I will discuss some of options through the government. The United States government does not lend money to small businesses. Instead it has designed guarantee programs to encourage banks and other financial institutions to lend money to small businesses. The main organization responsible for this is the Small Business Administration (SBA). 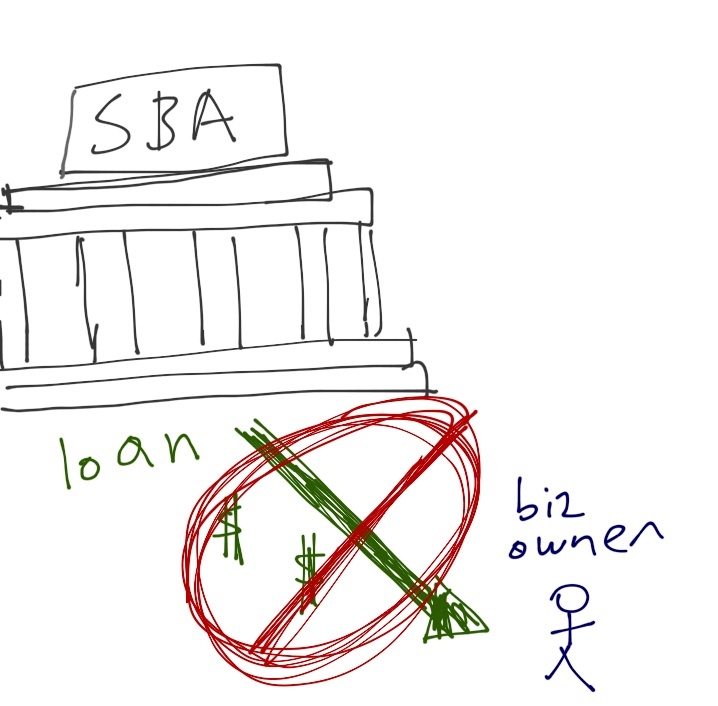 There are three main loan programs that the SBA offers to small business owners. 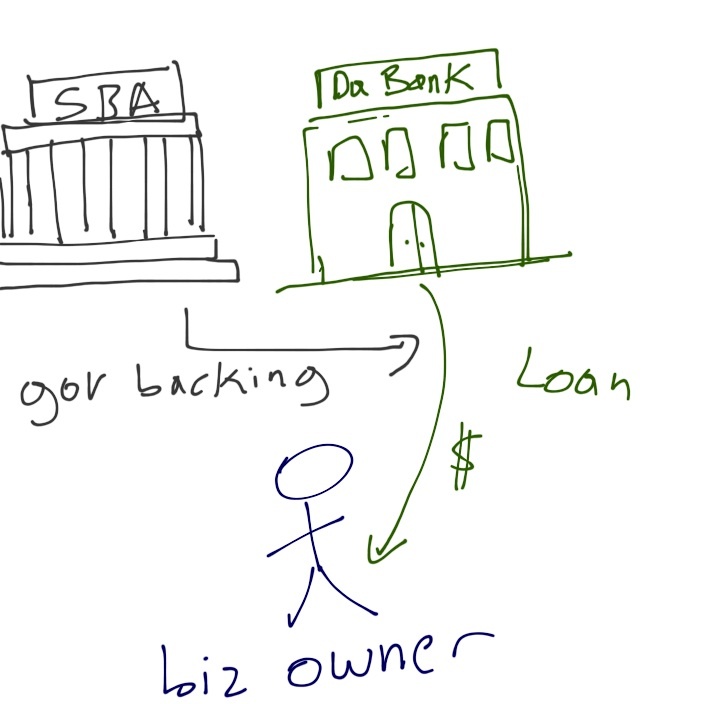 The 7(a) Loan Program provides financial help for businesses with certain special or unique requirements. For instance, funds are made available to businesses that operate in underserved communities, in the export business, or operate in rural areas. In general, the 7(a) Loan Program has a variety of sub-programs designed to promote very specific kind of businesses. The Microloan Program is exactly as it sounds. It is made to provide small, short-term loans to small businesses and not-for-profit child-centers. The maximum loan is for $50,000, but the average tends to be $13,000. The monies received under this program come with certain restrictions. Mainly, it cannot be used to buy real estate or pay off existing debt. The money can be used for the following purposes: 1) working capital; 2) purchase of inventory or supplies; 3) the purchase of furniture and or fixtures; or 4) purchase of machinery or equipment. Finally, the intermediary lender (the bank) is required to put you, the business owner, through certain training programs. The CDC/504 Program has the purpose of acting as an economic development tool for communities. It basically operates through a Certified Development Company (CDC), a private, nonprofit corporation, which in turn works with the SBA and private lenders to provide financing to small businesses in the area. It selectively targets businesses and then injects them with fixed-rate financing to acquire major fixed assets for expansion or modernization, thus insuring there is investment in infrastructure and development for the community. The funds must be used for fixed assets, for example: 1) purchase of land (including with buildings); 2) improving the area, such as grading, streets, utilities, parking lots, and landscaping; 3) the construction of new facilities or modernizing, renovating or converting existing ones; and/or 4) purchase of long-term machinery and equipment. The funds CANNOT be used for working capital, inventory, or for the consolidating/repaying of debt, or financing. *Please note I could spend dozens of posts talking about the variety of other loans and grants from other governmental departments and agencies. Those tend to be heavily industry-specific types of programs, such as the US Department of Agriculture’s Farm Loans Program, designed for family-sized farmers and ranchers. Today’s post is about very general small businesses. The State of Hawaii, as with many others states, has some unique funds or programs to help foster community and business development. Those with Native Hawaiian ancestry have a couple of programs to look towards to help starting or growing a business. First off, there is the Office of Hawaiian Affairs (OHA) Mālama Loan Program. In this program OHA partners with First Hawaiian Bank to provide lending services to Native Hawaiian consumers and businesses. Loan approval goes through the Native Hawaiian Revolving Loan Fund Board of Directors. Some of the features of the loan are a 5-year, 5% fixed rate up to $75,000 for eligible businesses. Typically, the business is used for business growth. For more information, visit OHA at their website. The second program that I would like to mention is the Kau Inoa Small Grants Program. This grant is dedicated to providing monetary incentive to encourage individuals and organizations for the purpose of nation-building. OHA suggests activities that grantees could participate, such as registering Hawaiians for Kau Inoa, conducting/hosting educational presentations, and/or the staffing of informational sites. In general, this type of program is specifically geared toward events or short-term projects. There is no non-profit or residency requirement. The award amount is dependent on the type of event and hours of work required. In certain cases, the award can be made on an accumulative and ongoing basis for a defined period of time, instead of singular events. If you are interested please check out this link. If you notice some these government guarantee-backed loans and grant programs are intended to be just quick shots of cash, especially like the SBA’s Microloan or the Kau Inoa Small Grants Program. However, may be that is all you need to get over the expensive startup requirements your endeavor requires or that’s all you need to get your idea out there to gain supporters, customers, or clients. 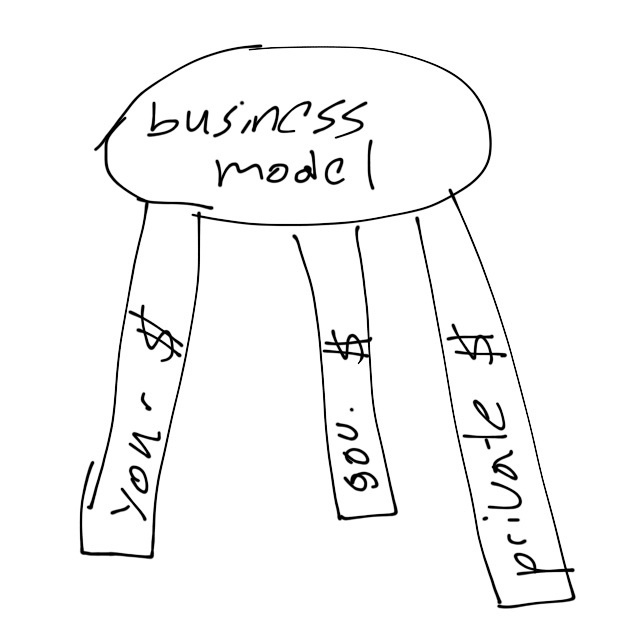 For those with the entrepreneurial spirit, you might want to view your capital raising strategy as a three-legged stool with injections of money coming from all three sources. 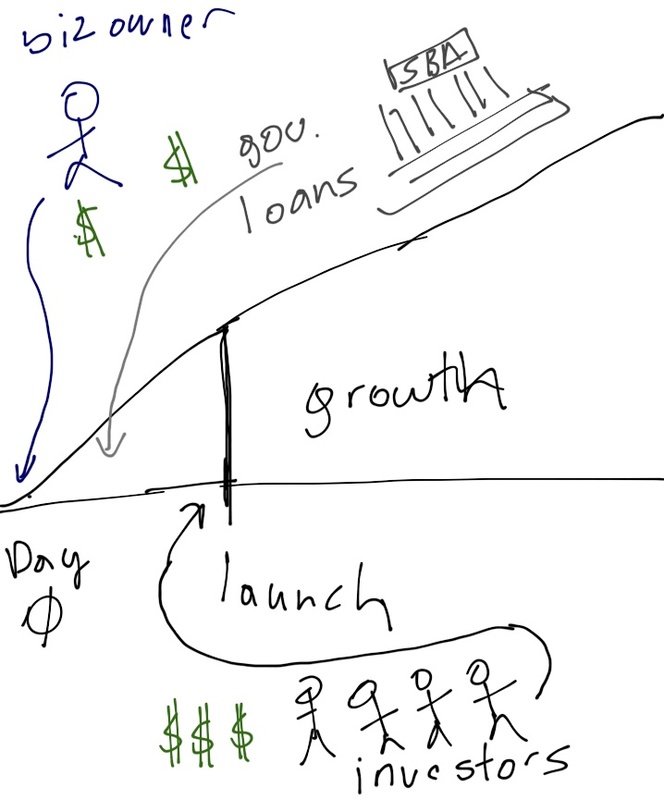 For example, if you are one of those fortunate to qualify and receive a government-backed loan you could combine that with your personal money to get you past the startup phase. After you purchase all your equipment (usually the most expensive) part you can then use investors or private lending to get your company to the next stage of growth. The programs discussed today by no means represents an exhaustive list of everything that exists. You should be aware that many loans or programs are hard to obtain given the overall problems with the economy. However, remember sometimes the best times to start a business is during downturn, especially with commercial spaces very low, the cutting of valuable government services, and learning lean strategies to survive. If you are seeking government-backed loans it is best to be prepared for some of the extensive requirements of the programs (i.e. lots of paperwork!). It is best to have experts help you by developing strategies, processes, or general advice to address your concerns or compliance issues. Next time I will discuss starting a business through “faster” methods. Namely, buying an existing business or into a franchise.